Edinburgh, 12 october 2015 – Exterity, the leading provider of enterprise IP video solutions for the secure distribution of live, on-demand and recorded video over IP, today announced the appointment of Andreas Mazanec as Solutions Consultant for the DACH (Germany, Austria and Switzerland) region. Mazanec will offer specialist support for existing customers and partners as well as helping to expand sales activity in the DACH region. Andreas Mazanec has 15 years of experience in the ProAV, Broadcast and Post Production industries working in Pre & Post Sales and Product Development for DVC Digitalvideo Computing. He later took over Digitalvideo Computing’s follow-up company, DVC Digital Video Competence, as General Manager. It was at this point that Mazanec first came into contact with Exterity as DVC became Exterity’s first German distributor. During his time at DVC, he also worked with streaming manufacturers Optibase, Haivision and VBrick, solidifying his expertise of the distribution market. Prior to his work in the AV industry, Andreas spent 6 years working at Microsoft as a Software Engineer in technology support for key clients such as BMW, Siemens and Lufthanasa, building an excellent understanding of IP networks. Mazanec will leverage his experience in worldwide on-site installation and support in his new role at Exterity as Solutions Consultant for the DACH region. 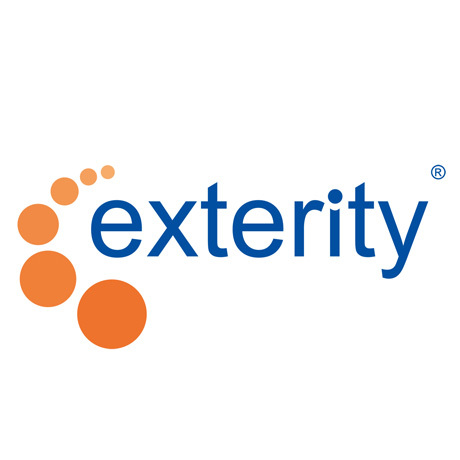 Exterity provides enterprise IP video systems that are used by a wide range of organizations, from streaming video content to multiple displays around the premises, to delivering content to staff in remote locations or on–the-go via their mobile devices. The company works across a number of key markets, including airports, stadia, education, oil & gas, government and hospitality to help clients offer high-quality information and entertainment on a variety of screens and devices.